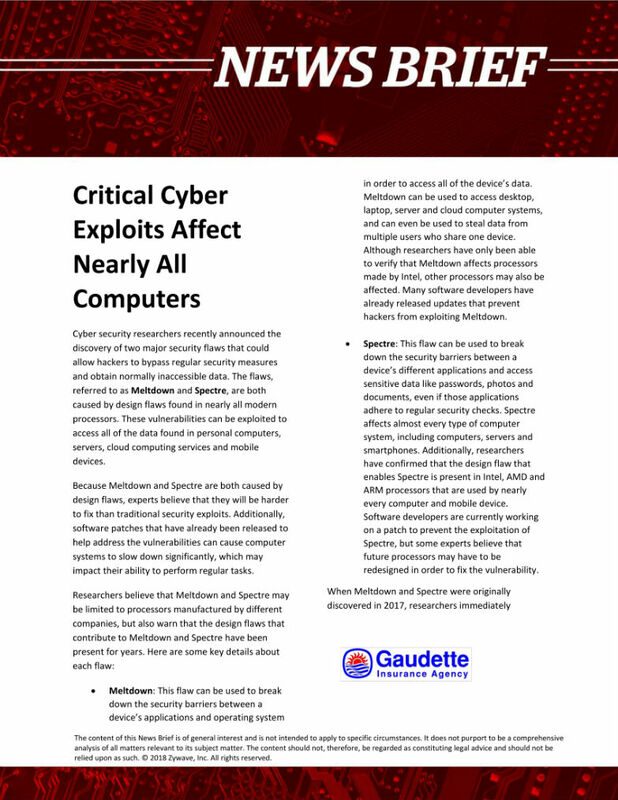 The breach itself occurred between mid-May and July 2017 when cyber criminals gained access to sensitive data by exploiting a weak point in website software. As a result of the attack, sensitive information like Social Security numbers, birthdays, addresses and driver's license numbers were compromised. In addition, Equifax said 209,000 credit card numbers were stolen, including information from international customers in Canada and the United Kingdom. 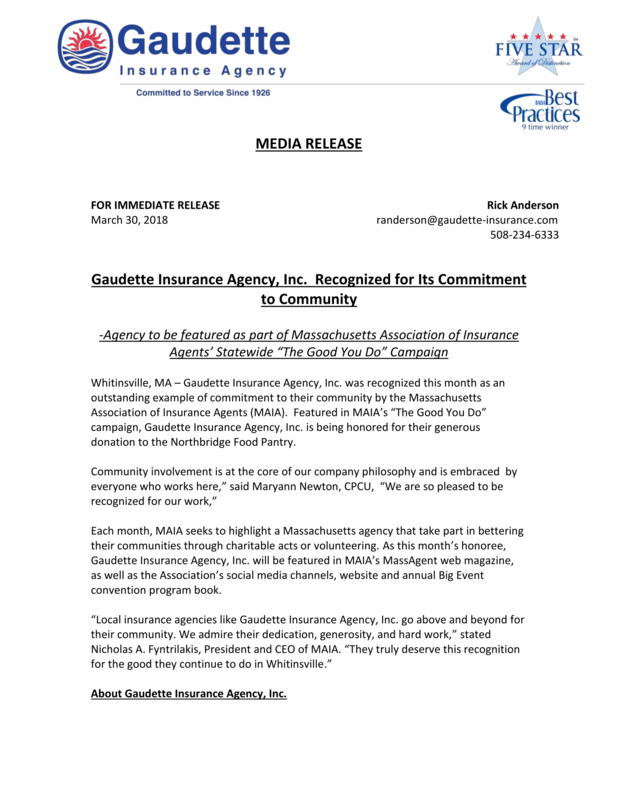 Gaudette Insurance Agency, Inc. will continue to monitor the Equifax cyber incident, providing any major updates as necessary. What Does Additional Insured Status Mean? Businesses work with other businesses on a daily basis to complete joint projects. For example, when a contractor builds a home, they use the work of sub-contractors for materials and labor for the project. These businesses sign contracts or agreements prior to any work being completed. So, how does business insurance work to protect against the risk of some other company, vendor, or sub-contractor causing damage to people or property of a mutual customer? This is where the additional insured status comes in. One party will add the other party as an “additional insured” on their commercial liability insurance policy. By adding an entity to your policy as an additional insured you are protecting that entity against your company’s negligence. By having another entity add your business as an additional insured that company is protecting you against their negligence. For example, general contractors often require subcontractors to name the general and the owner on the subcontractor's policies. In this way, if the general contractor or owner are sued due to accidents arising out of the work of the subcontractor, the subcontractor's insurance will protect the general contractor and owner. Additional insured status must be added by certificate and endorsement. That means there is a formal process to follow with your insurer and you must make sure those businesses you work with who claim to have added you have actually done so. Demand to see the actual endorsement and not just “proof” of insurance. Additional insured status DOES NOT mean the additional insured does not need insurance. It means the additional insured has controlled the risk of others’ negligence and can rely on their own business insurance policy to protect against their negligence. Additional insured status does not give the same rights under the policy terms as a “named insured” or “insured” and these are technical distinctions that need to be reviewed with your local insurance agent. Whenever your business enters into a project with another business or contracts with another business on an endeavor follow these four general principals. Never assume the other business has liability coverage and obtain a certificate of insurance to verify their insurance coverage. As a part of a written contract, demand a copy of the additional insured endorsement and review it with your insurance agent and legal representative. 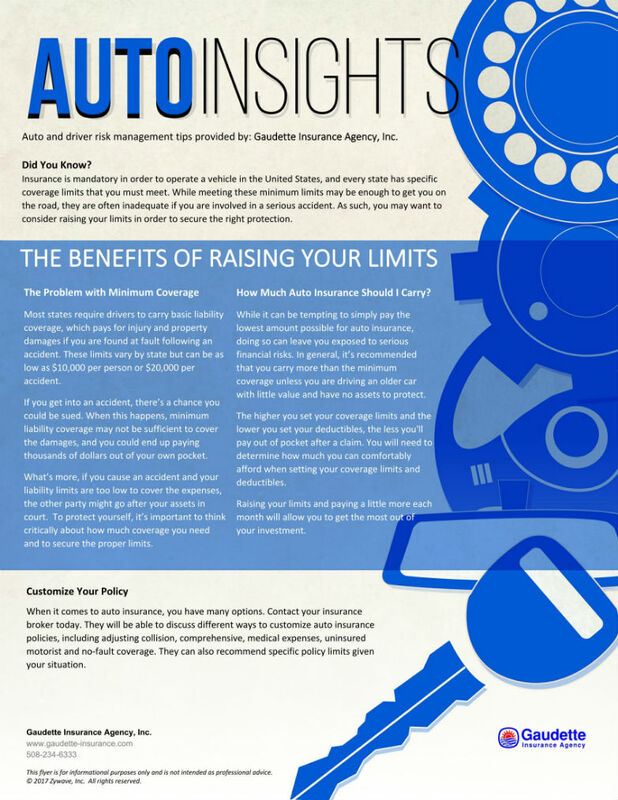 Understand what your additional insured coverage status covers and look at your liability policy. There may be gaps in coverage that can be easily fixed (before the relationship starts). Read the contract requirements and write the contract requirements carefully to make sure your business is not jeopardizing its own coverage in agreeing to add additional insureds and know what you are extending when you agree to add additional insureds. Similarly, know what you are demanding when your business asks for that status from another business on their business insurance policy. The cost of adding an additional insured to a property or liability insurance policy is generally low, as compared to the costs of the original premium. Does Insurance Cover Theft of Personal Property From My Car? If your vehicle is stolen, your auto insurance will pay to replace the vehicle but not personal possessions that you may have left in it. Auto insurance is not intended to insure your personal property, its purpose is to protect you financially in case of an accident or to fix your car in the event of fire, theft, hail storm or some other cause of loss. The comprehensive portion of your auto insurance is what pays for non-accident-related losses. Unfortunately, the coverage only extends to the vehicle itself and not its contents. If you leave personal property in your vehicle, such as a laptop, cell phone or even your wallet, you may be out of luck. Are there items permanently affixed to your car such as an aftermarket stereo? Basically, if the item is portable or can be easily removed and put back in the car, it would not be considered "permanently attached”. If it was attached to your car, did you purchase an endorsement or added coverage for the aftermarket or non-manufacturer equipment? If you have added items to your car, like a new, more expensive stereo, you should consider adding a Custom Parts & Equipment (CPE) endorsement. If you own or rent a home or apartment and carry homeowner's insurance or renter's insurance, it will cover your loss if you have proof you actually owned the lost items, usually in the form of a receipt. In such cases you should always file a police report and follow the proper procedures, and with any luck you can recoup your losses. Unfortunately, most homeowner's policies have a higher deductible than a car insurance policy. So unless you are the victim of a significant theft amount, there is a good chance that the property stolen from your car won't meet the amount needed to file a claim. Some auto insurance companies now offer endorsements that will give you a limited amount of coverage for your personal property which avoids your larger homeowner deductible and more importantly putting in a claim against your homeowner policy. The best course of action is to avoid carrying valuable items in your vehicle at all, if possible. If you permanently attach additional items to your vehicle, contact your insurance agent about adding a CPE endorsement. Your insurance company will likely ask for receipts to confirm the equipment or items so be sure to keep them. Contact your homeowners insurance company to find out how they handle claims for personal items stolen out of your vehicle. Being prepared and having good information can help you avoid unfortunate situations like personal items being stolen from your car. Is Damage From Bugs And Rodents Covered By Homeowners Insurance? Although you might like the idea of bringing nature into your home, this probably doesn’t extend to insects and critters that might like to take up residence. If your home becomes infested by pests such as termites and carpenter ants or rodents such as rats and squirrels, you should take immediate action to prevent damage. What if the damage is already done? Many people look to their homeowners insurance policy for help in covering the costs to eradicate pesky invaders and any damage they have caused. Unfortunately, nearly every homeowner’s insurance policy contains a clause excluding gradual damage caused by pests and infestation. But nearly every homeowner’s insurance policy will cover sudden and unexpected damage that is caused by pests or infestation, or that results in the damage to your property by rodents after other sudden and unexpected damage to your home. Right about now, you might be scratching your head and wondering what this means. 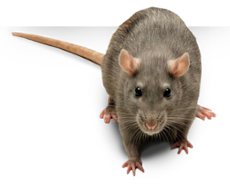 Damage from pests or rodents is generally considered to be a long-term problem that should be prevented by regular home maintenance. Damage that can be prevented by taking appropriate action is generally not covered by a homeowners insurance policy. There are some, very limited policies that do cover damage from insects, infestation and pests, but this coverage is specifically called out within the policy and the cost for such coverage may be costly. If you have a specific need for this type of coverage check with your insurance company on pricing and availability. The most affordable action that you can take to guard against damage from insects and rodents is preventative and regular maintenance. Some damage is covered by a standard homeowners policy, but it is generally limited to collateral damage associated with the infestation. For instance, if termites destroy a central support to the home’s frame and the roof caves in, the damage associated with the falling roof will likely be covered, but the damage to the home’s frame will not be. Similarly, if a storm blows a door off your garage and a family of raccoons turns the garage into their home before you are able to get the damaged door replaced, then the insurance company may cover the damage caused by the raccoons (since it is directly related to the storm damage). The differentiation is that gradual damage is not covered, but sudden, unexpected damage is. Pests come in all shapes and sizes, and some seem fairly mild while others can be downright vicious. In addition to doing significant damage to the structure of your home by eating and nesting in the wood and base of your home, many pests can also pose very serious health hazards to humans. Keeping your home clean is one way to deter pests from nesting, although it will not prevent all infestations. Having a clean living space will also help you more easily detect the odor that many pest infestations bring with them. At the first sign of any drywall damage or structural infestation, you should call pest control. You also should call pest control if you see large numbers of the animal or bug in your home, or if the numbers seem to be multiplying. The more you see, the more likely it is that your home has been infested, and that the pests are laying nests and making the problem even worse. In addition to keeping a clean house and calling pest control at the first sign of an issue, you can take some other preventative measures. Cut back tree-limbs so that they aren’t touching your house, ensure that grates, screens or other barriers are in place to prevent access to crawl spaces and attics and also, move wood and other debris away from the house. Speak with your insurance agent about the specifics of your policy to understand what is and isn’t covered before you have reason to file a claim. Dealing with the aftermath of a car accident is typically not enjoyable. It’s often worse when the other driver is at-fault and you’re haggling with their insurance company. Here are some tips to help with a smoother claims process when making a claim with an at-fault person's insurance company. The other driver should also have your identical information so they can give it to their insurance company when they call in to the claims department. Since the other driver was at fault, they are responsible for reporting the accident to their auto insurance company. However, it's a good idea for you to contact their insurer as well. Sometimes motorists who cause accidents are reluctant to report them. If the other driver has already made the call and filed the claim, get the claim number assigned from the insurance company and have them send out an adjuster or tell you where to take your vehicle to have a repair estimate. If the at-fault driver has not already made the call, you should then inform the other person's insurer that you have been involved in a crash with one of its policyholders and disclose your property damages or injuries. Also, relay only the facts of the accident. Insurance companies usually rely on a police report, if one is available, to determine who is at-fault. Although you may feel that you have not caused the accident, you should contact your insurance company anyway. This will aid you if the other party's insurer denies responsibility for the accident. If the insurance adjuster doesn't authorize a repair before you take it to an auto shop, it can create a problem. 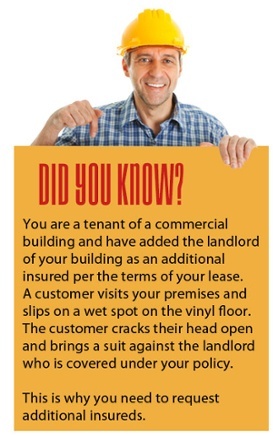 At minimum, make certain that the insurance company has accepted liability before going ahead with repairs. Get authorization in writing. 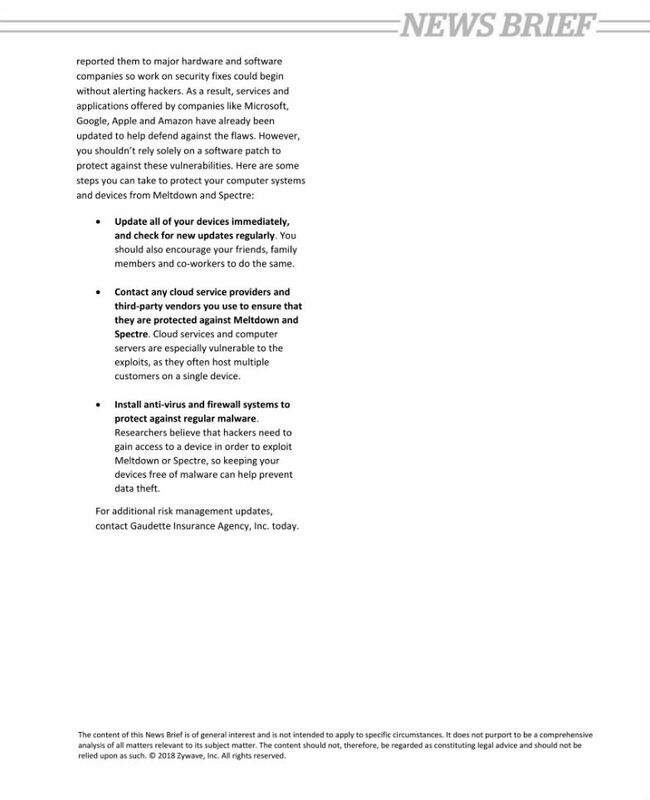 Ask the insurer to e-mail or fax it to you. In case the other driver, who said they had coverage, actually does not have insurance, your insurance company then will take over and pay for the damage caused to your car, assuming you have comprehensive and collision, (Parts 7 & 9) coverage on your policy. 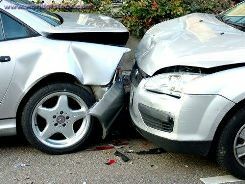 If you do not have comprehensive and collision coverage on your policy, and the other driver does not actually have insurance coverage, then your claim will be unpaid unless the at-fault driver actually fulfills their financial responsibility, and you will either be the one who pays for the repairs to your vehicle, or you will need to visit an auto claims attorney to help you try to recover from the at-fault party. 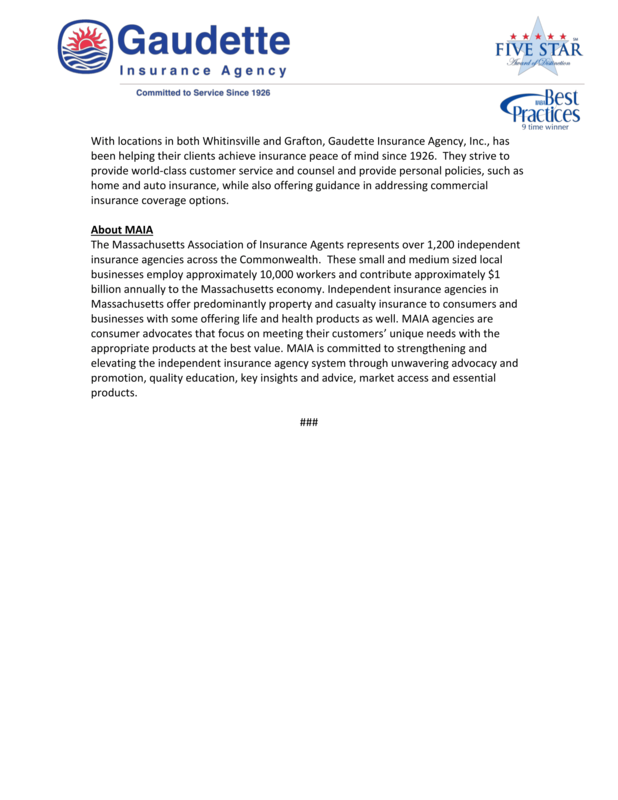 If you live in Massachusetts and have Bodily Injury Caused by Uninsured or Underinsured Motorist coverage (Parts 3 & 12), it may cover your medical expenses, lost wages, and pain and suffering if the other driver does not have insurance. If you have any questions about your auto insurance coverages, give us a call. This insurance may cover items such as general liability, property, professional liability, workman's compensation, autos, and a variety of other needs. The purpose of a COI is that it serves as the insured’s evidence to customers, contractors or other third parties that the insured has obtained insurance. What are the benefits of a Certificate of Insurance? The primary benefit of a COI is convenience, as they can be quickly and easily obtained. Certificates demonstrate that coverage existed at a particular time. They also provide the basic information needed to file a claim, while not divulging confidential business information such as payroll and sales figures. What are the limitations of a Certificate of Insurance? A COI is not the legal equivalent of an insurance policy. It does not create a contractual relationship between the insurance carrier and the certificate holder. 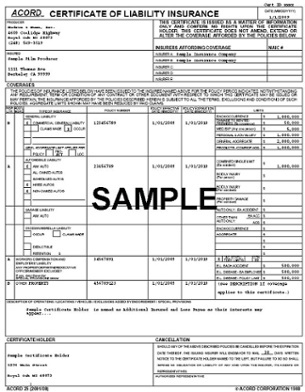 The Certificate only confirms that the provider carried the insurance specified at the time the certificate was prepared. There is no guarantee that insurance has not or will not be cancelled; that coverage limits will not be exhausted by other claims; or that other endorsements have not been added to the policy, reducing the amount of coverage available. Most businesses will require a COI when they interact with another business or agency. For example, if a university hires a contractor to perform work, they will exchange insurance certificates to verify coverage. In this case, each of these organizations will contact the insurance agent and request that a copy of the certificate be sent to the appropriate party. To prevent fraud and tampering, the certificate is almost always sent directly from the agent to the organization requesting verification, and not to the client. In many cases, an organization that is requesting a COI from another business will list specific requirements that must be met. For example, if an organization wanted to rent a local event hall for a day, they would request a Certificate of Insurance from the event hall. This would verify that the organization was protected under the hall's insurance in the event of an injury or accident. To further protect itself, the organization may request that they are added as "Additional Insured" on the Certificate. For a small fee, the hall's insurance agent will modify the Certificate of Insurance temporarily to include the organization in all of the hall's coverage. In some cases, the organization may even require that coverage limits are raised, or that umbrella policies are added to cover their event.